When the Shelby 427 Cobra was first unleashed to the motoring press in 1965, it was by far the fastest street-legal car in the world. 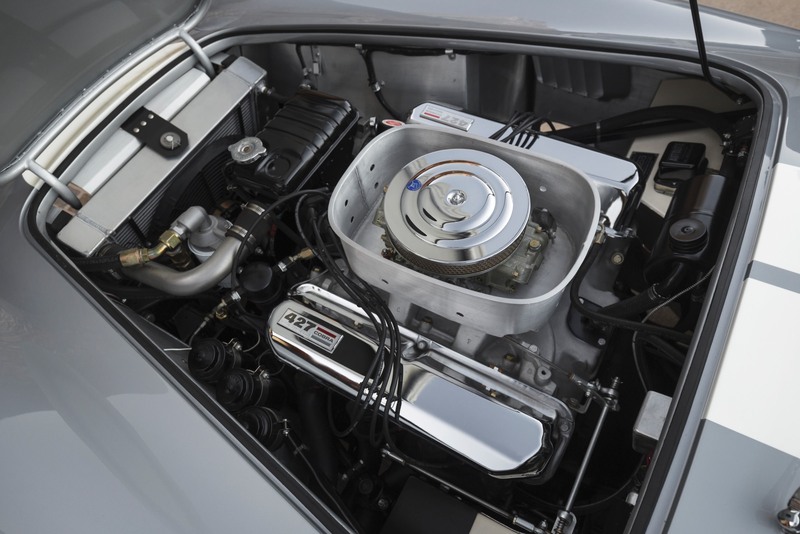 Its 7-litre V8 produced 485 bhp in competition trim, and it had a tested top speed of 165+ mph. 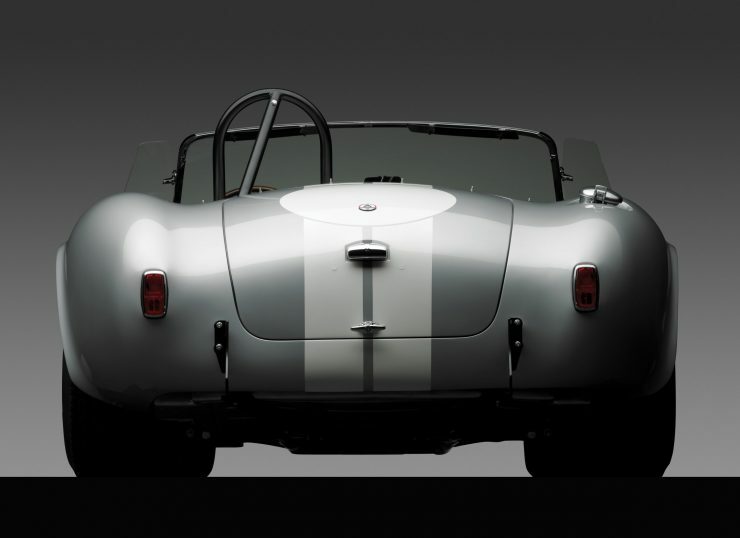 All this in a small, lightweight roadster body weighing in at 2,355 lbs. 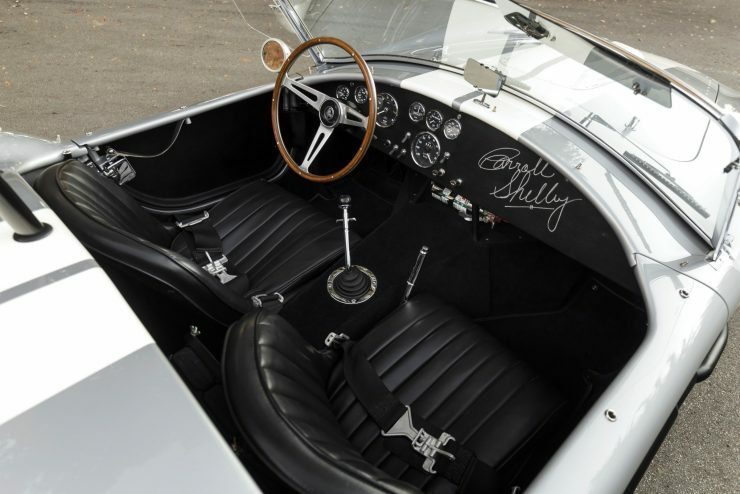 Carroll Shelby and his team had planned to race the 427 Cobra, and for homologation purposes they needed to build a minimum of 100 examples. 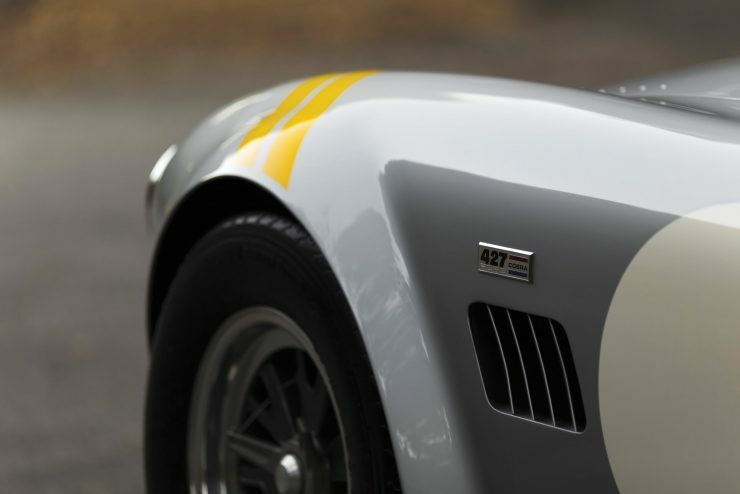 A series of hold-ups, not the least of which being the fact that the chassis and bodies were being built in England then shipped to the United States, meant that only 51 cars were completed and ready when the FIA inspectors arrived at the Shelby factory. 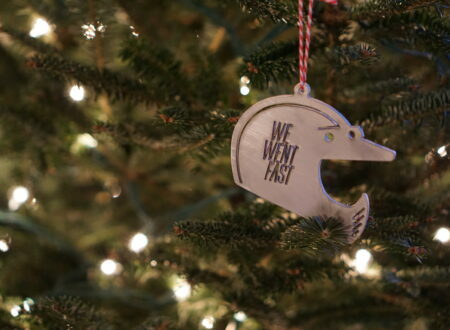 Homologation was denied, and Carroll was left holding dozens of cars that could not be raced. 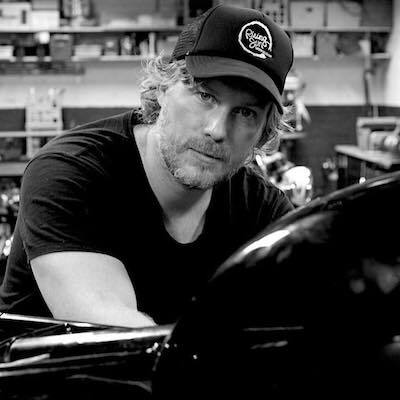 This could have been a crippling blow for him, as the company was still very new at the time with nowhere near the brand awareness it has now. Shelby’s East Coast representative, however, came forward with a suggestion. 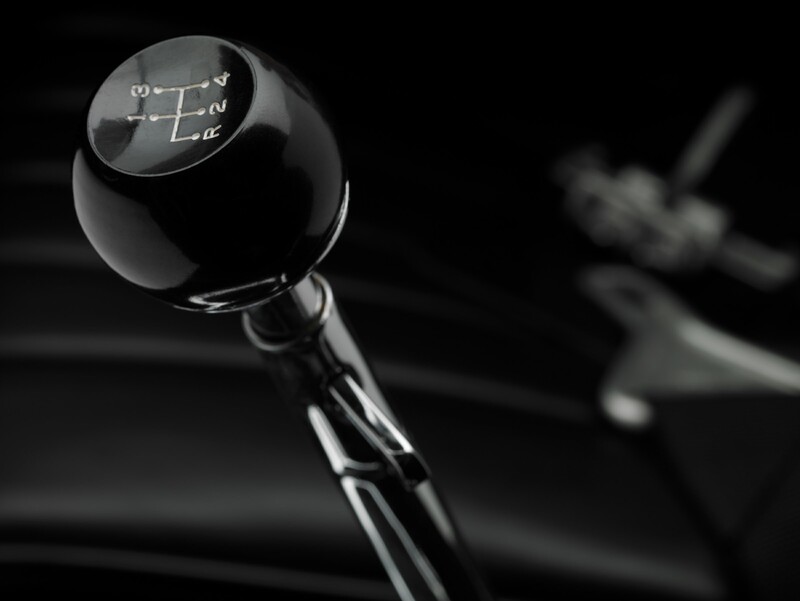 He explained that if the cars were painted and fitted with proper windshields, folding tops, and license plate brackets, they could be sold as street-legal cars to civilians. 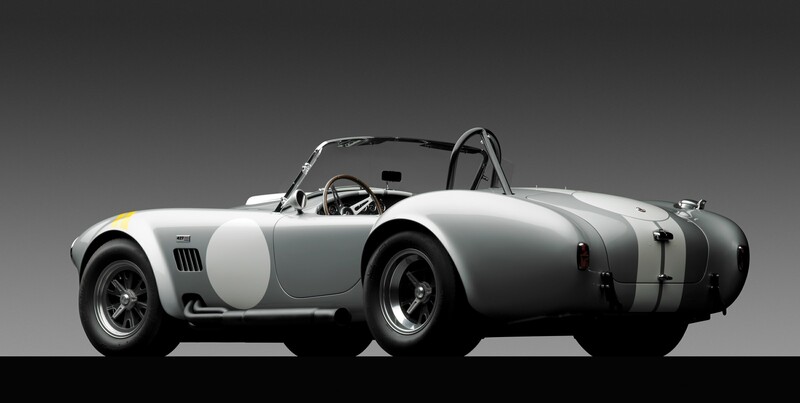 The wisdom of selling thoroughbred race cars like this to regular muggles was somewhat questionable. That said, this was all occurring in the mid-1960s, a time when large-capacity V8s and mind-bending power output figures were establishing a firm foothold in the United States and enjoying an ascent in popularity that would last into the next decade. 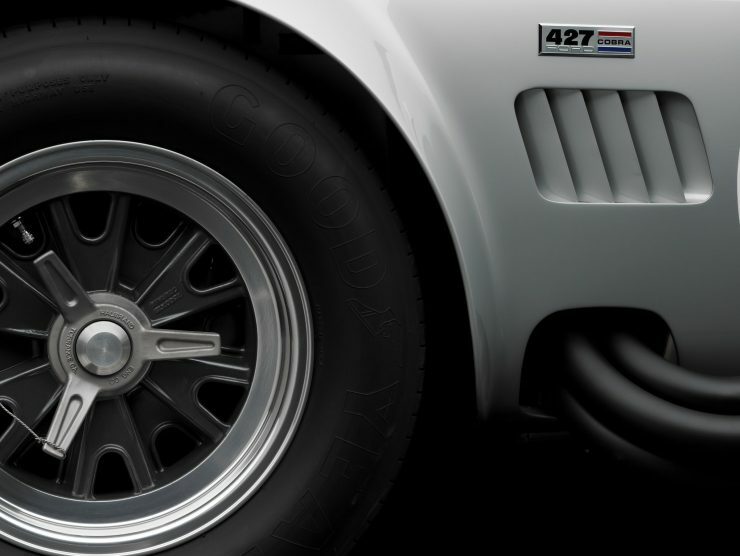 Carroll Shelby seized on the idea, and the program to get the 427 Cobras street-legal began immediately. 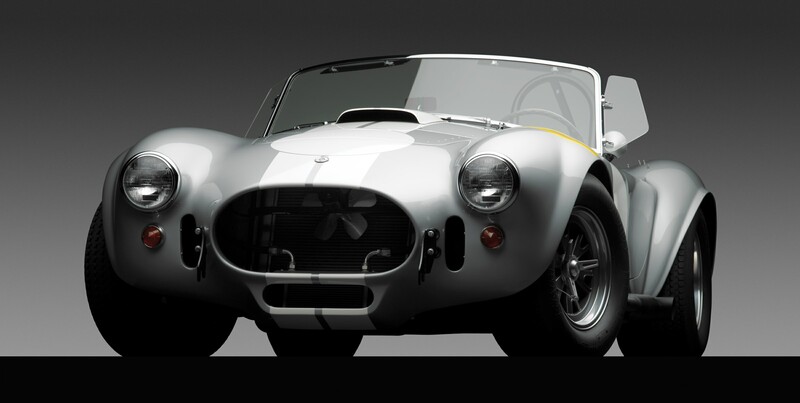 These new cars would be marketed as the 427 S/C Cobra (for Semi-Competition). 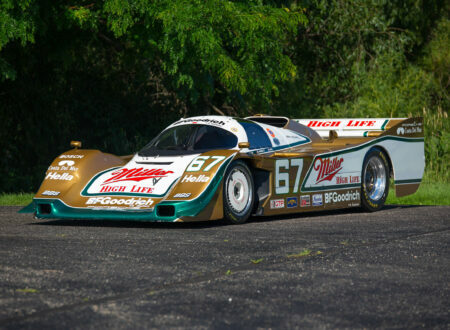 Thirty-one would be sold before the supply was exhausted, with sixteen additional cars being sold to private racing teams, two being kept as factory prototypes, and one making its way to Ford Engineering. 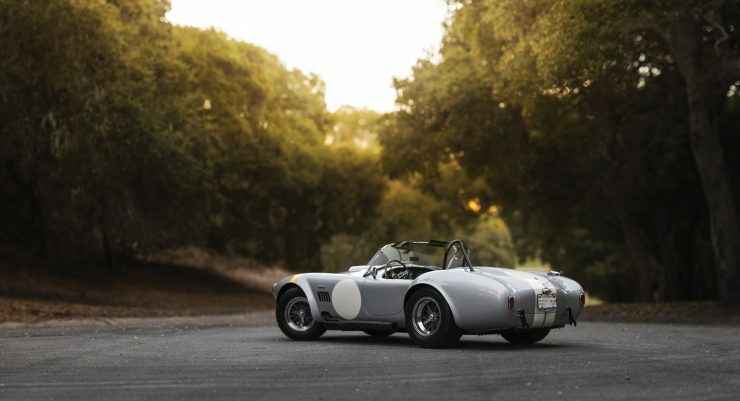 The surviving examples of these 427 S/C Cobras are now among the most desirable of all the early Shelby cars, and you’ll need available funds in the low seven digits to get your foot in the door. Although it looks a lot like its smaller sibling, the 289 Cobra, there was actually very little between the two cars that was interchangeable. 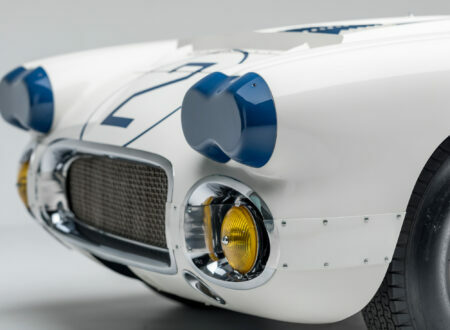 An entirely new chassis had been developed as a collaborative effort with Ford’s engineers in Detroit. The new frame was made of tubular 4-in. 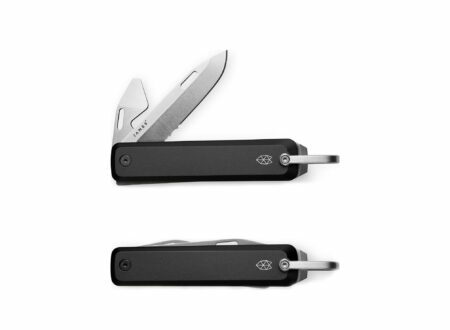 steel (up from 3 in. 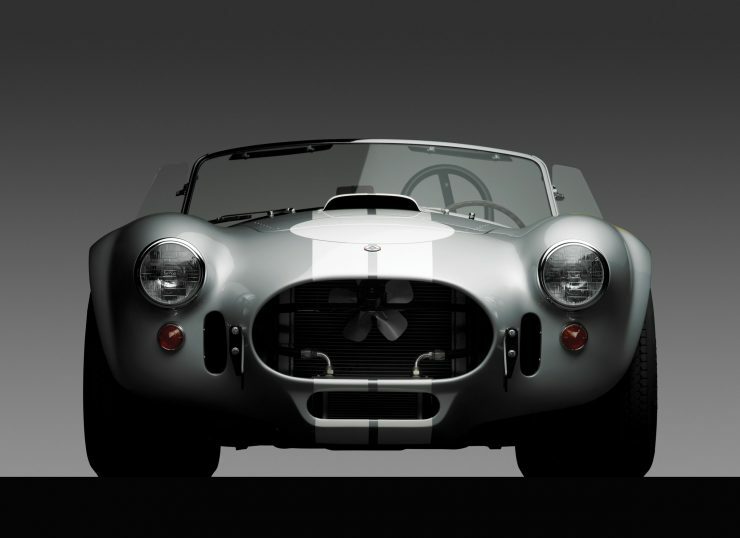 in the first Cobra), and this new car was 5-in. 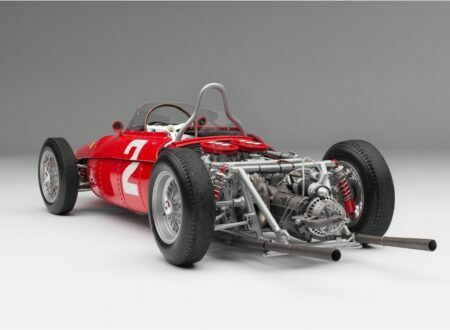 wider than the original, with the bodywork incorporating flared fenders to fit more hefty rubber under each corner. 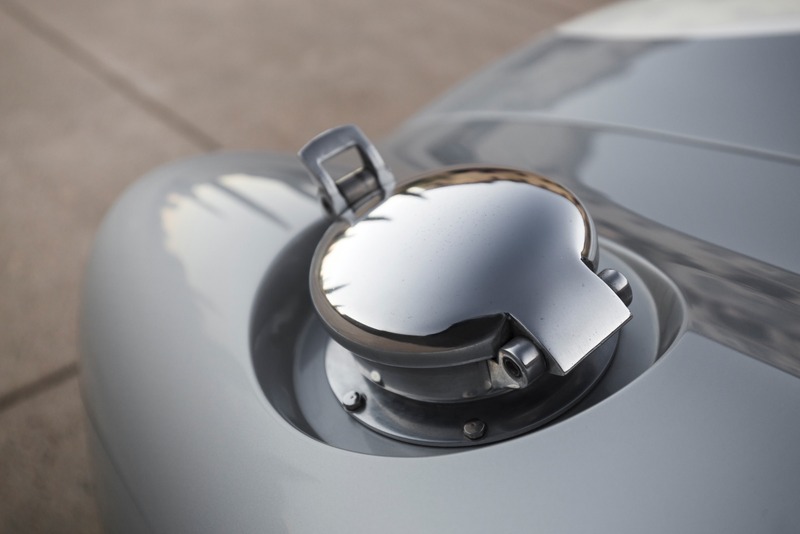 The Salisbury type 4HU center housing differential was fitted, similar to that used by Jaguar on the XKE and the same unit used on the 289 Cobra, and coil spring suspension was fitted front and back – a welcome replacement for the previous model’s transverse leaf spring suspension. 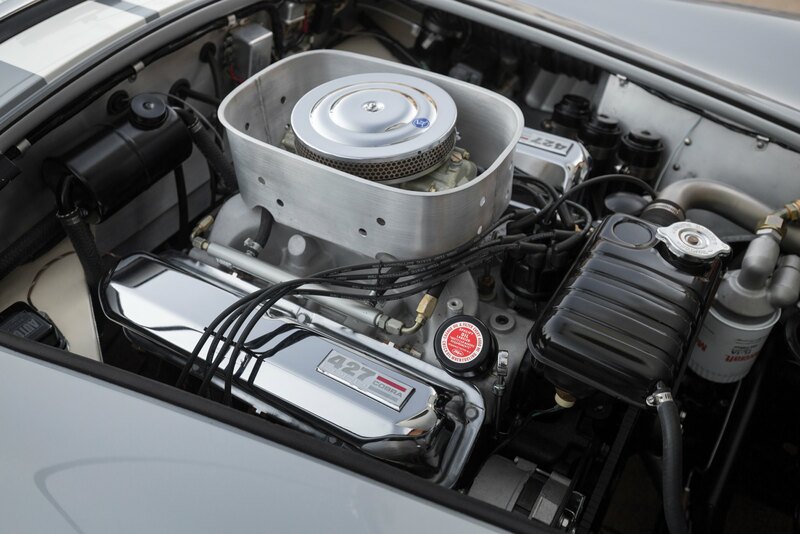 The star of the show with any 427 Cobra is of course the engine, a mighty iron-block “Side Oiler” 427-cu. in. engine rated at 425 bhp, with 485 bhp achievable with a series of relatively minor modifications. 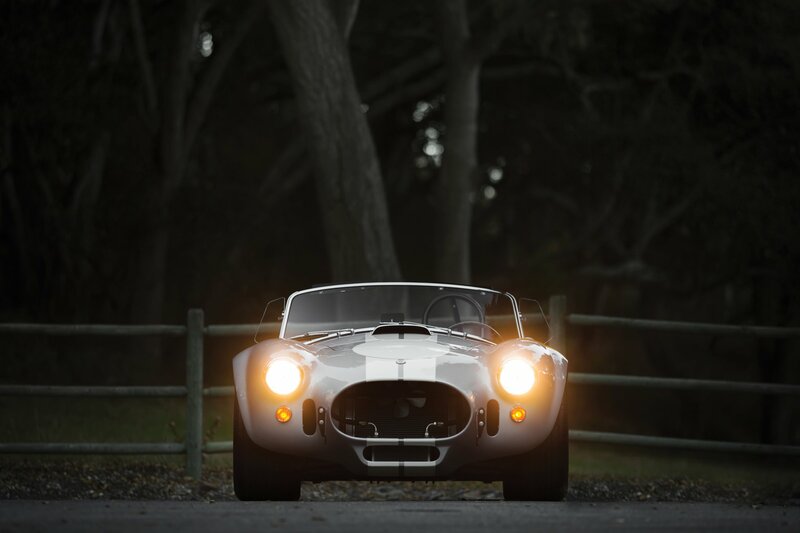 The car you see here is a highly original and unmolested example that was delivered new by Shelby’s Hi-Performance Motors to Dr. Robert Degnan of Hacienda Heights, California. It passed through a limited number of hands before being acquired by Peter Briggs in 1980 for his famous York Motor Museum in Western Australia. It was driven rarely, but did make a popular appearance at the 1992 Targa Tasmania. 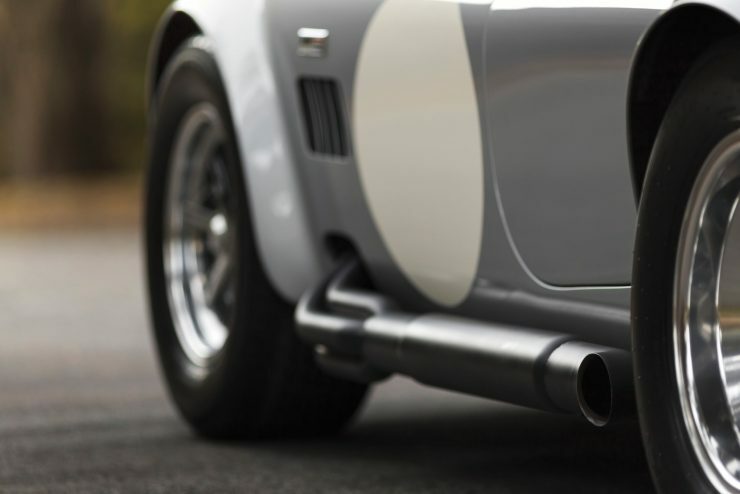 Peter had it registered with a personalized license plate that read “A REAL ONE,” as he was often asked if it was an authentic car or a replica. 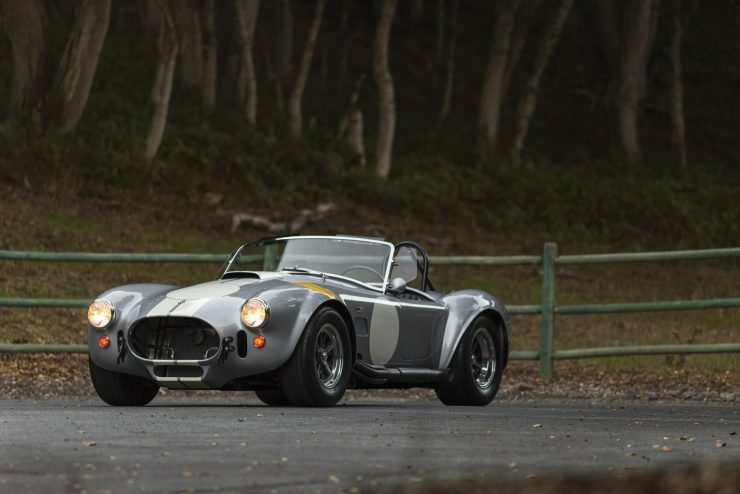 After 20 years in Australia it was sold back to an American, who sent it to highly respected Cobra restorer and expert Mike McCluskey of Torrance, California, for a full restoration. 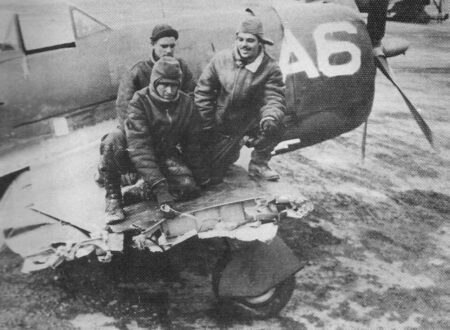 During the restoration, McCluskey noted that all body panels were original, as well as the engine, drivetrain, interior, and accessories. 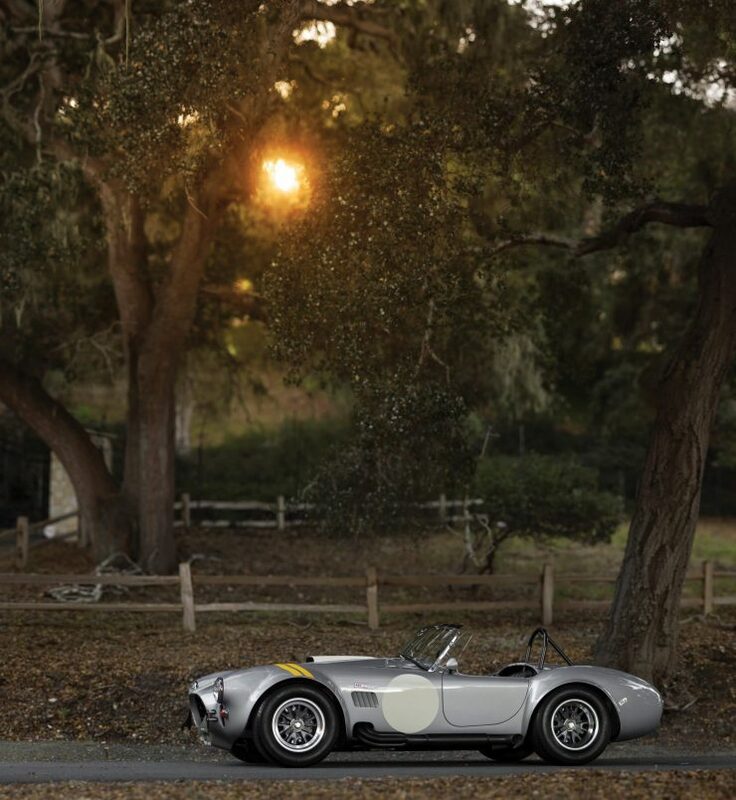 This is exceedingly rare, as many 427 Cobra owners had unfortunate encounters with hedges, lampposts, and tire barriers – necessitating new panels and parts. 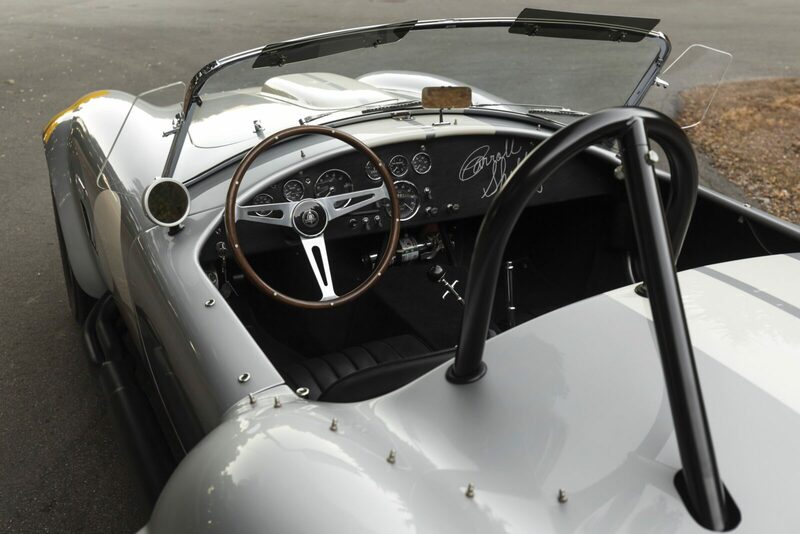 The car is accompanied by a folder of documentation, including a copy of the original sales invoice, its SAAC Cobra Registry entry, and communications and documentation from Mr. McCluskey’s restoration. 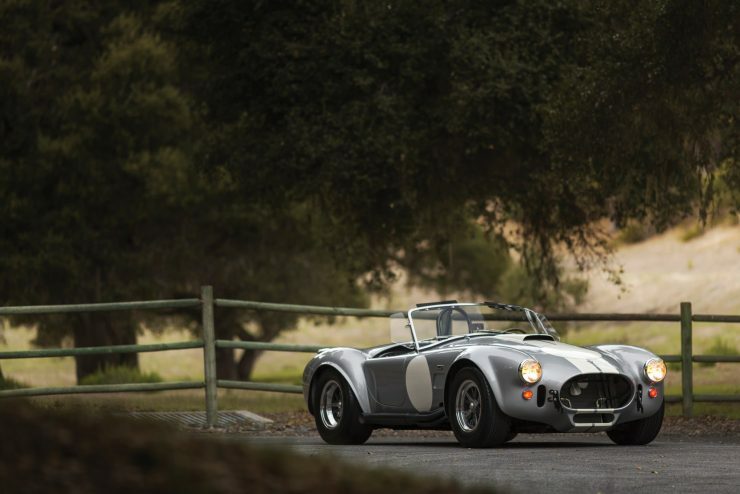 There are very few surviving 427 Shelby Cobras in this state of originality, so this one will likely attract some attention when it rolls across the auction block with RM Sotheby’s on the weekend of the 18th of January in Arizona. The estimated value is between $2,000,000 and $2,400,000 USD. If you’d like to read more or register to bid, click here to view the listing.